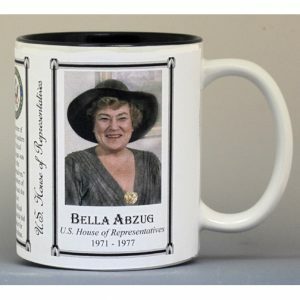 This U.S. House of Representative Bella Abzug history mug is one of a collection of U.S. Governance biographical mugs. 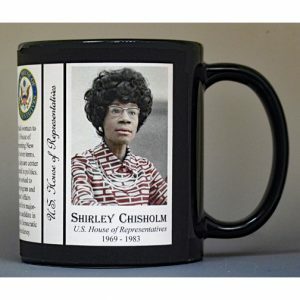 An image of Bella Abzug and a short biography are features of this history mug. The Gloria Steinem mug is part of a biographical series profiling Women’s Rights advocates and includes an image of Gloria Steinem and a short biography.